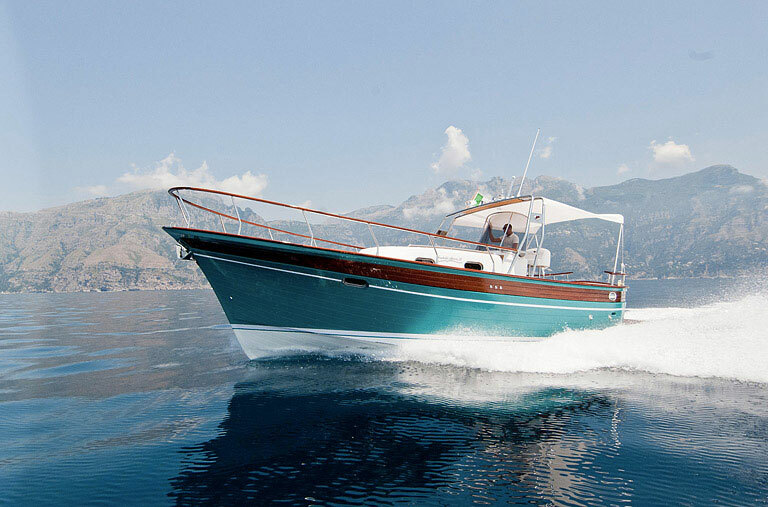 To the guests of Hotel Margherita, we give the possibility to live a unique experience: Capri’s boat tour, on a traditional “gozzo” of the Coast, complete with private toilet, shower and changing room. From our hotel in Praiano, leaves the boat tour of Capri, a dreamy trip during your vacation on the Amalfi Coast, that mixes the deep blue of the sea and the amazing view of the Coast, from a fascinating and unusual perspective. During the journey you will dive into the same panorama that everyday makes the hearts of Praiano’s fishermen sing, protagonist of this sea area facing Capri and its cliffs, the “Faraglioni”. Destination of all the free spirit – open minded people, Capri has always had an incredible charm, like in the past, when it was often elected summer residence by the Roman Emperors – it is not by chance that it is called “Tiberius’ Island”- that enjoyed its unspoiled nature and the perfumes of a surprising vegetation. 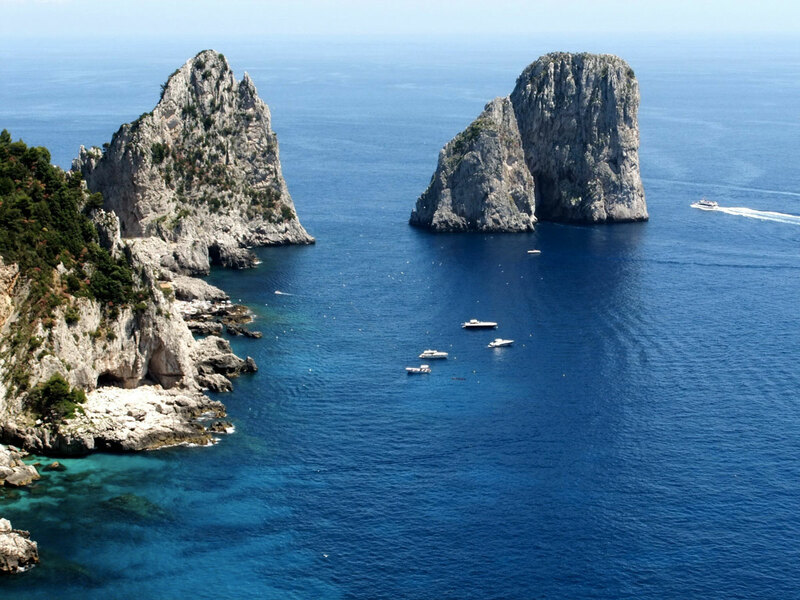 The perfect combination of rock, sea and the warm welcome of its inhabitants, is what made of Capri such an important stop for the wealthy families of the XIX century, that were used to include Capri in their Grand Tour. For scholars, poets or musicians looking for inspiration, the Island of Capri was the perfect muse, rich of history and culture and of the mythological image of Ulysses, that here encountered the famous siren song, without falling for it, like many others in the nearby archipelago of Li Galli. Our tour starts in Marina di Praia at 9 am, going to Punta Campanella, stepping by Li Galli to reach Capri; then from here, you will visit the Grotta Bianca, the natural arc of Villa di Malaparte, one of the most seducing and mysterious places of the island, that precedes the arrival to the awesome Faraglioni. After admiring the magnificence of the Faraglioni, you will go to Marina Piccola, where as well as bathing, you will discover the marvels of the Grotta Verde, and of the more famous Grotta Azzurra, a fairy-tale cave in the rock, characterized by incredible colours and nuances. From here you can take the famous funicular to reach the main square and decide if to go shopping or visit Villa Tiberio, or just keep on going and visit the Borgo di Anacapri. 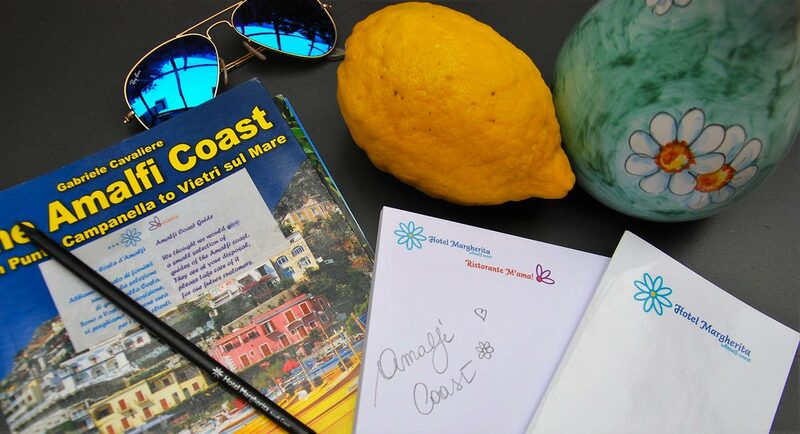 The tour then involves a relaxing stop of a couple of hours in Marina Grande, the port of Capri, to visit the Island: from here it is possible to take the funicular and reach the main square, deciding if to go shopping, see Villa Tiberio or visit Anacapri. Then you will go back to Praiano, but will still be able to go again swimming in the clean water of the Coast, go snorkelling, and relax before the evening. You will be back at 5.30 pm, right on time to enjoy a delicious aperitif looking at the sunset. Let yourself dive into a new exciting experience! you are already here at Hotel Margherita!